How Can YOU Support Our Parks? Did you know you can become a member of the Fort Wayne Park Foundation? If you contribute $100 or more, you become an annual member of the Foundation. This entitles you to vote for members of the board of directors as well as receive periodic updates and information about the Foundation’s work. You may receive a tax deduction (please consult with your tax advisor) as well as the knowledge that your contribution will help support our beautiful park system. The Build the Future Fund is available to benefit any of our 87 parks. Working with the Fort Wayne Parks and Recreation Department, the Park Foundation can identify a specific need and help provide necessary resources. Building this fund is important as it enables the Park Foundation to quickly respond to unexpected needs or opportunities as they arise. The Fort Wayne Parks Foundation is a 501(C)(3) non-profit organization so your contribution may be tax-deductible (please consult your tax advisor). Although the parks are funded by the City of Fort Wayne, the Park Foundation provides extra dollars to support park projects and programs that may require additional funding. With the Fort Wayne Parks & Recreation Department being the only recipient of Park Foundation funds, you can be sure that your donation to the Fort Wayne Park Foundation will benefit only our beautiful park system. 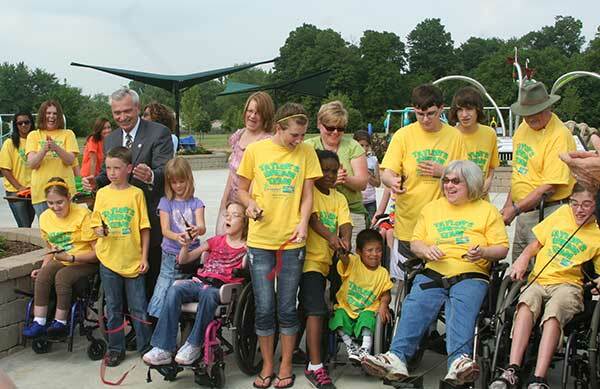 For over 40 years, the Fort Wayne Park Foundation has worked side by side with the Fort Wayne Parks & Recreation Department to make our parks places where people of all ages and abilities can enjoy the outdoors, innovative programming, and exceptional facilities. With your support, we will continue to bring great things to our parks. We want to assure you that we take great care in the stewardship of the funds which our donors have entrusted to us and will continue to do so for many years to come. Promenade Park on the Riverfront in Fort Wayne is the focal point of Phase 1 of Riverfront Development which is revitalizing our downtown area between Harrison Street and the Wells Street Bridge bordered by Superior Street to the south and extending across to include the Fort Wayne Park & Recreation Department property on the north side of the riverbank. The Park promises to bring vibrancy and excitement to our downtown. 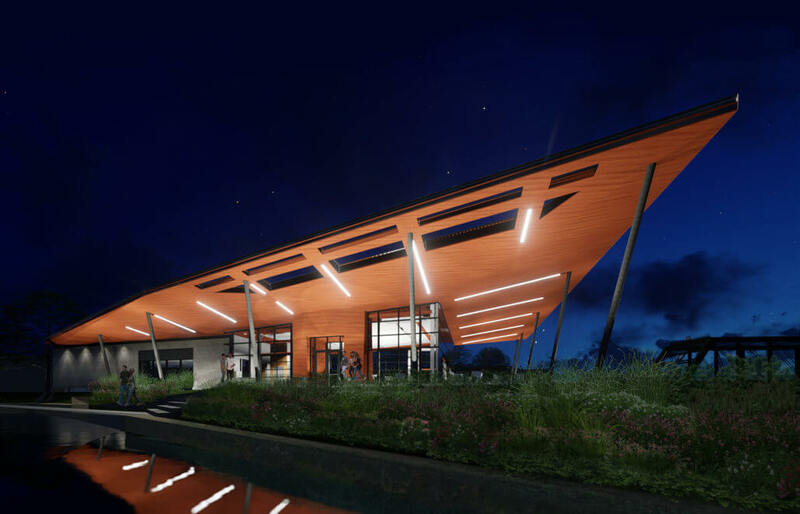 Waterfront activities as well as family programs will highlight the features of the park including a beautiful plaza, pavilion, bandshell, amphitheatre, gardens, children’s play area and tree canopy trail to name a few. Our community campaign gives everyone in the community the chance to support the Promenade and the creative programming that it will offer adults and children alike. Volunteers will clip honeysuckle limbs from bushes, cut down the remaining trunks with handsaws and carry the brush to an area in the park. All tools and work gloves will be provided. The honeysuckle stems are not prickly and the brush isn’t heavy. This is a family-friendly activity, so children are welcome too. Please dress for the weather! Close-toed shoes, like tennis shoes, are recommended. 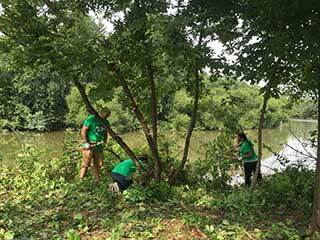 Groups of 4 – 40 volunteers are encouraged to sign up for a Riverfront cleanup by calling 260-427-6408. Parks and Recreation is not just for kids! We offer numerous opportunities for retirees and senior citizens to join our family of over 200 volunteers and become involved in Community Center programs and operations. 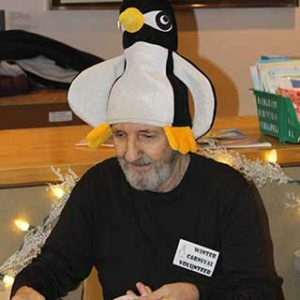 As a Community Center volunteer, you will find satisfaction in being of service to the community, develop your interests, and make new acquaintances. You may choose to volunteer on a regular weekly schedule or on an occasional basis. Please call 260-427-6461 for more information. 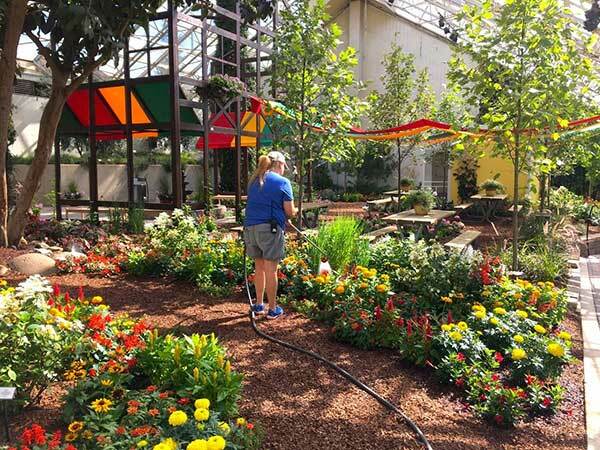 The Botanical Conservatory has volunteer openings for gift shop cashiers, outdoor gardening, admissions desk receptionists, and special event workers. Minimum age 10 with accompanying adult, age 15 with staff supervision. 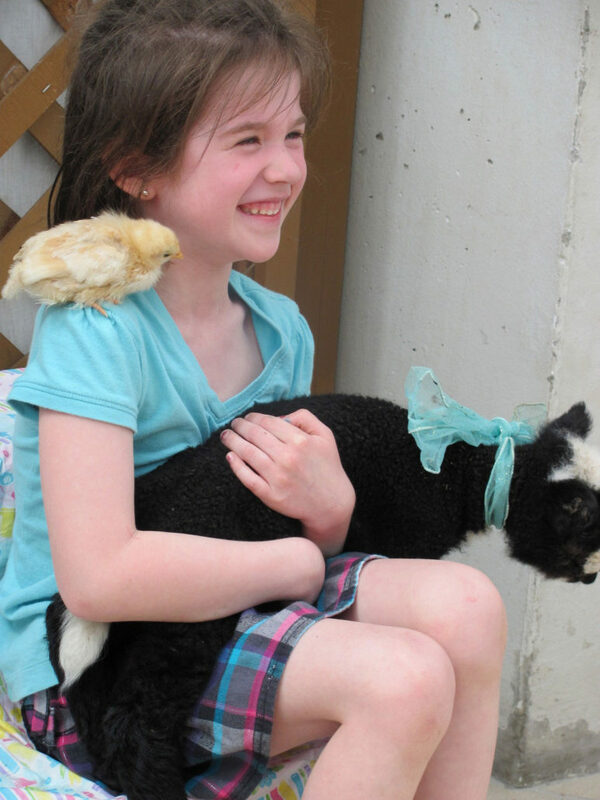 Be a part of our Family Fun Day this summer, or help keep our garden beds weed-free. Training available as needed. Contact Rebecca Canales at 260-427-6442. Is your civic organization, scout troop, church group, neighborhood association, work peers or family looking for a worthwhile volunteer project? Adopt a Fort Wayne Parks and Recreation Department playground! By organizing this volunteer effort to clean up playgrounds on a regular basis, adults help to provide safe and inviting places for our city’s youth. 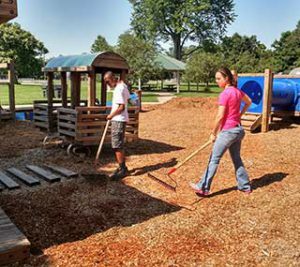 The program also generates a broader awareness of the importance of fun and unstructured play for the health of our children and community pride through personal interaction and ownership of Fort Wayne’s playgrounds. For more details, call Shannon at 427-6400.